Rather than plant material, he often appears at the farm made of plush or fabric sewn into a massive costume. Sometimes he’s animatronic or an eight-by-eight inflatable. His cheeks and bucktoothed smile have made him the leading candidate for the position of autumnal Santa Claus-like marketing tool, but even that isn’t what makes Spookley really different. No, it’s his shape. Spookley is a square, or to be squarishly technical, a rounded cube with a stem. Today, 120 farms in the US, Canada, England, and Ireland rely on Spookley to help them teach kids about agriculture and acceptance, putting Jimmy and Jerry the Gourd from Veggie Tales to absolute shame in the world of family-entertainment squashes. You may have seen that moral coming (Rudolph who? ), but Spookley teaches a more subtle agricultural lesson. After the storm, Spookley’s farmer sows his seeds the next year, making his farm an angular, colorful example of crop diversity. There’s even a third lesson Spookley teaches, not about farming or being a good person, but about how a simple children’s character can be leveraged into a marketing mainstay for the agritainment industry. After Spookley saved the day, Troiano and business partner Jonathan Flom started looking for ways to develop the Spookley brand. They took some routes you might expect, like crafting the Spookley story into an animated TV special and collaborating with educators to design lesson plans, but also noticed farmers reading Spookley to kids visiting pumpkin patches. 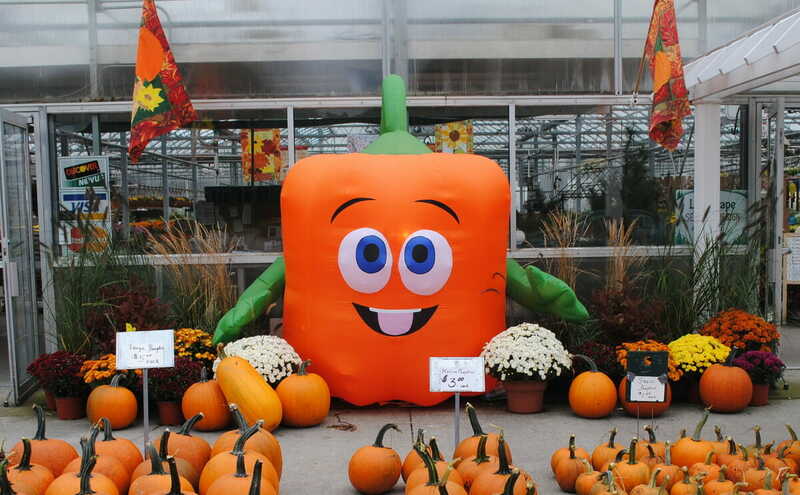 They approached select farms with the idea of making Spookley a permanent part of their fall festivities. In 2009, Flom brought in son-in-law and Harvard grad Aaron Burakoff to strengthen relationships between Spookley and agritourism. Burakoff had the idea of making Spookley the Official Spokes-Pumpkin for PACER Center’s National Bullying Prevention Month which rolls around each October. The Center, a non-profit that advocates for children with special needs, embraced Spookley despite his corners. 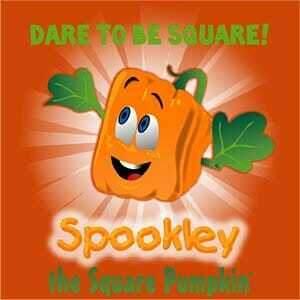 They now offer “Dare to be Square” t-shirts and rely on the pumpkin to help explain the ills of bullying. Burakoff also expanded Spookley’s reach to an increasing number of agritourism outfits such as Stanley Pond Adventure Farm in Florida. Farmer Bob Denis and daughter Tricia Merrill now offer “Very Squarey Field Trips” for local elementary and preschool students. Farm tours provide lots of photo opportunities with the square pumpkin before Spookley merchandise greets kids in the gift shop. Spookley, telling kids it’s hip to be square. “Spookley is the best marketing tool I have ever seen in over 30 years,” says Denis in a case study for Evergreen Creations LLC, Burakoff’s company. As much as a square pumpkin can be on a roll, Spookley has been on one since. Schnepf Farm in Arizona carved Spookley and Ellen Degeneres into a corn maze under the banner of “Unite Against Bullying.” Pierce College Farm Center in California built Spookley his very own Chuck E. Cheese-style animatronic show and Cartoon Network embraced the Spookley movie in light of their “Stop Bullies: Speak Up” campaign. There are challenges ahead for Spookley. 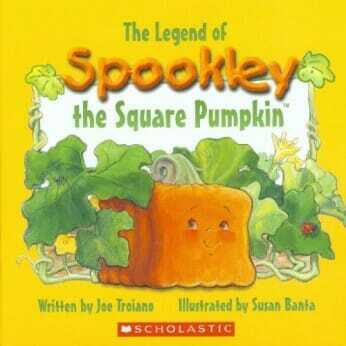 Traditionally, farm visits fall off after Halloween, but Burakoff hopes that Troiano’s 2012 book, Spookley the Square Pumpkin: A Family to be Thankful For, will keep kids coming to pumpkin patches into November. Fellow Troiano creations Jelly Bean, a rainbow chick who hatches from a supposedly unbreakable egg, and Mistletoe the Christmas kitten are now also available as farm programs, helping farmers diversify into the Easter and Christmas seasons. In the meantime, Spookley is looking to partner with farms in Australia and New Zealand. The strangest little pumpkin has come a long way from the pumpkin patch.